A slow or unreliable internet connection can derail even the very best cloud solutions. Our internet, or 'IP transit' services provides enterprises with a simple solution that eliminates the stress, challenges and problems associated with internet at an enterprise level. Fully flexible and scalable bandwidth options starting from 10 Mbps. Unlimited data usage at cost-effective rates. Shortest latency to 100+ various Enterprise product vendors. High availability guarantee with a service level target of 99.9%. Our support engineers are always available and never overseas. Our Network Operations Centre (NOC) can fix network issues quickly and courteously. We provide extensive monitoring and reporting options to ensure you have a comprehensive view of internet performance. 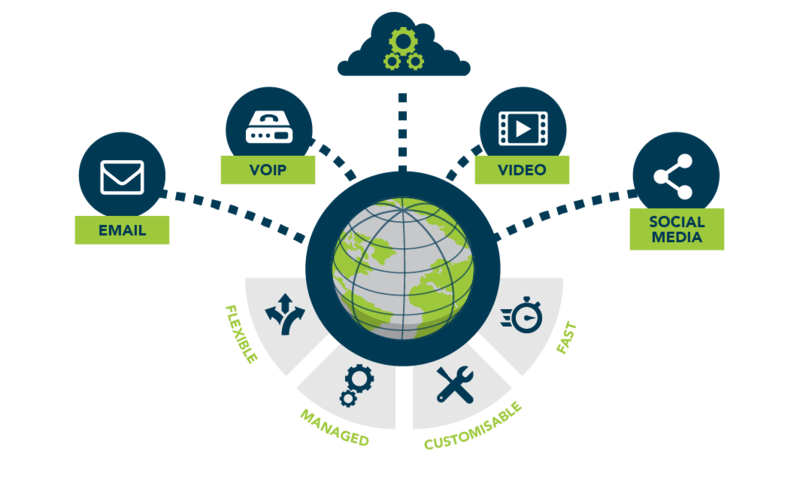 Enterprise internet that gives you the best possible user experience when using mail, VOIP, video or video conferencing and social media services. A single fast, reliable and uncontended connection to the Internet. High quality routing through multiple tier 1 carriers. Superior performance with diverse paths from multiple data centers throughout Australia and Asia Pacific. We provide expert consultation to customise your internet based on your unique requirements. Each service receives a dedicated IP address. Each service receives a dedicated account manager for superior and proactive support.